Groups > Persecuted Christians > Discussions > Topic: IRAN - CHRISTIANS THAT ARE PERSECUTED IN IRAN! Topic: IRAN - CHRISTIANS THAT ARE PERSECUTED IN IRAN! Mehdi Foroutan was released from prison June 10, 2012. He served almost a year in prison because of his faith for crimes against national security. Thank God for preserving his life and his faith. Many other Iranian Christians are currently in prison, including Behnam Irani and Youcef Nadarkhani. Both men are reported to remain strong in their faith and positive in their attitudes. Behnam, however, is suffering from health problems and is not allowed to visit a doctor. Please continue to pray the Lord will strengthen the faith of all Christians in prison in Iran and that they will be released soon. On Tuesday, June 5, amid a government crackdown on the few recognized churches offering Farsi-speaking services, the Revolutionary Guards Intelligence branch ordered the closure of a church. Due to an increasing number of Farsi-speaking believers mostly Muslim Background Believers it has become a cause of concern for the authorities, said Monsour Borji, an Iranian Christian. The last remaining Farsi-speaking church in Tehran faces government demands for the names and identification numbers for all of their members, which could endanger Muslim background believers. Mohammad Ali Dadkhah, the main defense lawyer in Iranian Pastor Yousef Nadarkhanis death sentence appeal case, faces imminent imprisonment for defending the rights of Iranians. Iran's Ministry of Intelligence has ordered the last two officially registered churches holding Friday Farsi-language services in Tehran to discontinue them. "I believe 100 percent the whole movement in Iran is in God's hand," a source said. "This pushing [of the government] can stop the church buildings, but they cannot stop the Kingdom of God." Last week Iranian authorities arrested Christian converts from Islam while they met for worship at a home. Though the families of the victims have requested information about their whereabouts, authorities have refused to provide it. Hi, I have just created a petition "Free Prisoner of Conscience Behnam Irani" who is a Christian Pastor in Iran who is in prison for his faith. I'm asking you to sign this petition to help me reach the goal of 1,000 signatures. I care deeply about this cause, and I hope you will supportmy efforts. Yousef Nadarkhani, sentenced to death a year ago after a court of appeals found him guilty of leaving Islam, is in deteriorating health. Yousef continues to face physical and psychological torture as authorities pressure him to recant his faith. Some sources indicate the court ruling could come the second half of December when another wave of arrests is expected. This is a favorite time for Iranian authorities to make the rounds at Christian house group meetings during Christmas celebrations. Pastor Behnam Irani has just voluntarily turned himself in to the Iranian authorities to begin serving a one year sentence for "crimes against national security." After turning himself in, he discovered he will also be forced to serve an additional five years for a conviction in 2006 which he was never called on to fulfill. Please write to Brother Behnam to encourage him as he faces a much longer prison term than he expected. Pray for his family and church, also. Mehdi "Petros" Foroutan, a 27-year-old pastor in Iran, was arrested in January 2010 and charged with crimes against national security and blasphemy against Islam. Although acquitted of the blasphemy charge and released on bail a month later, Pastor Foroutan was sentenced to one year in prison. Unlike most people who wait for an arrest warrant, Pastor Foroutan reported to prison on Sept. 25, 2011, to begin serving his sentence. Almost immediately, Pastor Foroutan was transferred to the area of the prison for recovering drug addicts in Shiraz. VOM contacts report that Pastor Nadarkhani's verdict has been delayed again by the court in Gilan province. The reason for the delay, according to his attorney, is that they have referred the case to the Supreme Leader, Ayatollah Ali Khamenei. It is highly unusual for the court to ask for the legal opinion of the Supreme Leader. Please continue to pray for Youcef, his family and those supporting him. Prisoner Alert users have reported receiving a letter from the Iranian government renouncing published news about Nadarkhani's case. This is positive! Your voices have been heard and the government of Iran feels the pressure. Please continue to stand with our brother. "We are regularly visited by the police; they warn us against speaking about Jesus," says Ramin, a Christian leader. "There is an explosive growth of Christians converts in the country. We can hardly handle the growing number of new believers." Christian Prisoners Are Set Free! After spending 359 days in an Iranian jail, Vahik Abrahamian was released on Aug 29; Pastor Zhang, imprisoned in China since December 2004, was released from prison on the evening of August 31. Praise God! Pastor Vahik Abrahamian and his wife Sonia Keshish-Avanesian were with their friends, Arash Kermanjani and his wife Arezo Teymouri, when all four were detained. The couples have been accused of various offenses, including propagating Christianity, opposing the Islamic Republic of Iran, and having contact with exiled opposition figures. ICC rejoices over the news that Maryam Rostampour, 28, and Marzieh Amirizadeh, 31, arrested in Iran fourteen months ago for their Christian faith, have been freed by judicial authorities after being acquitted of all charges brought against them.  (Phil. 3:8). The international Christian community was moved by Maryam and Marziehs steadfast perseverance, and united behind Maryam and Marzieh as one body throughout the world in prayer for their deliverance. The Lord heard ours prayers, and on November 18, 2009, Maryam and Marzieh were released from prison! However, the ordeal had not yet ended for Maryam and Marzieh. Although released, the charges had not been dropped, and in April, Maryam and Marzieh were summoned to another court hearing. After a month of anxiously waiting for a verdict, ICC welcomes the news that on May 23, all charges against Maryam and Marzieh have been dropped! Upon hearing the news, Maryam and Marzieh left Iran to an unknown country after being warned by judicial authorities that any future Christian activity in Iran will be harshly punished. From henceforth, Maryam and Marzieh will be able to worship God freely and at all hours of the day without having to fear death or imprisonment. Their faith and endurance has been an encouragement to countless believers throughout the world. Maryam and Marzieh are grateful for the support and prayers of Christians worldwide. "We are most grateful to everyone who prayed for us," they said. "I have no doubt that God heard the prayers of His people. I believe our arrest, imprisonment and subsequent release were in the timing and plan of God, and it was all for His glory. But the prayers of people encouraged and sustained us throughout this ordeal." Join us in rejoicing over the Lords deliverance of Maryam and Marzieh! - For Maryam and Marziehs adjustment into a new country and culture. That their witness and faith will continue to move countless more lives into repentance, and toward salvation and a personal relationship with Jesus Christ. - For the Iranian church, which continues to persevere and grow despite great torment and affliction committed against them by the Iranian government. Note: ICC would like to acknowledge Elam Ministries for their tremendous effort in rallying international attention behind the plight of Maryam and Marzieh, and for Elams devoted support and prayers for these women throughout their captivity and suffering. On February 2, Rev. Wilson Issavi was arrested by Iranian state security agents in Isfahan, Iran, an incident that has recently hit mainstream Christian media. However, ICC sources have confirmed that there were an additional eight other Christians arrested along with Rev. Issavi who are currently imprisoned and awaiting charges. The names and whereabouts of the remaining eight Christians must remain undisclosed for security purposes. Rev. Issavi was visiting a friends home in Shahin Shahr, Isfahan when state security raided the house unannounced. Rev. Issavi, his hosts and others were apprehended by the security agents and immediately taken to prison. Friends and family are deeply concerned as they are unable to contact Rev. Issavi. The location and physical condition of the nine Christians is unknown. The arrest of Rev. Issavi was a devastating blow to the Iranian Christian community. Rev. Issavi is known among friends as a humble and devoted servant of the church. 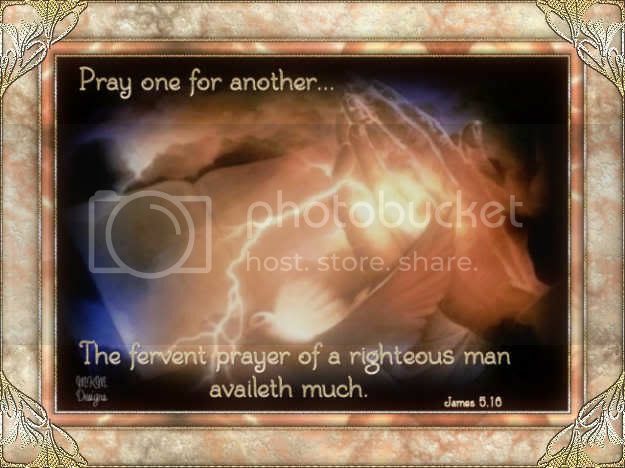 He is considered a man of prayer who has lived a modest life to better assist those in need. The arrests occurred after the Iranian government forced the closure of Rev. Issavis church, the Evangelical Church of Kermanshah, on January 2. Before its closure, the Evangelical Church of Kermanshah was among the few remaining open churches in the country. Iranian Christians are under constant threat of discrimination, imprisonment, torture, and even execution by the Iranian government which severely restricts religious freedom. - That Rev. Wilson Issavi and the eight other believers will be released from prison. - That the Holy Spirit will give them strength and comfort amidst any torture or mistreatment they may face. - That the Lord will give strength to their families. Iran's Christians face terrible persecution and prejudice. Now mounting anti-Christian pressure is affecting their right to worship freely even more blatantly. Rev. Sourik, overseer of the Assemblies of God Churches in Iran has announced that the Central Church in Tehran is no longer allowed to hold Friday services. The church was forced to end these services or be completely shut down nationwide. "The announcement of the termination of the Friday services was received with shock and utter surprise and resulted in many openly weeping in the church service," reported the Farsi Christian News Network, which has close ties with Iranian Christians. Many in the West may not understand the significance of this move, but according to Voice of the Martyrs Canada, "The believers of this church, which has been holding two Friday services since the 1960s, will find it difficult to attend Sunday services as Sunday is not a day off for many, as it is in the West." This news is especially hard for this congregation because their pastor has been detained for several weeks after refusing to allow authorities to "impose the reading of the Koran on Christian children." Pastor Youcef Nadarkhani has insisted that the practice of forced Koranic courses violates Article 26 of the Declaration of Universal Human Rights, which Iran has signed. The Article says, "Parents have a prior right to choose the kind of education that shall be given to their children." Authorities have told Pastor Nadarkhani "Not happy with the fact that we tolerate you, you pushed too far your boldness by refusing that your children follow Koranic courses." As of publication, Pastor Nadarkhani is still imprisoned. It is with great joy that I can share with you that Maryam Rostampour and Marzieh Amirizadeh have been released from prison today!!! I would like to express a heartfelt thank you to each person who sent an email to the Iranian authorities on behalf of Maryam and Marzieh. You used your time and freedom to play a part in pressuring the Iranian government for their release. It is a beautiful demonstration of Christian unity when so many individuals and organizations join together to speak out for suffering believers worldwide. Praising God for the release of Maryam and Marzieh! 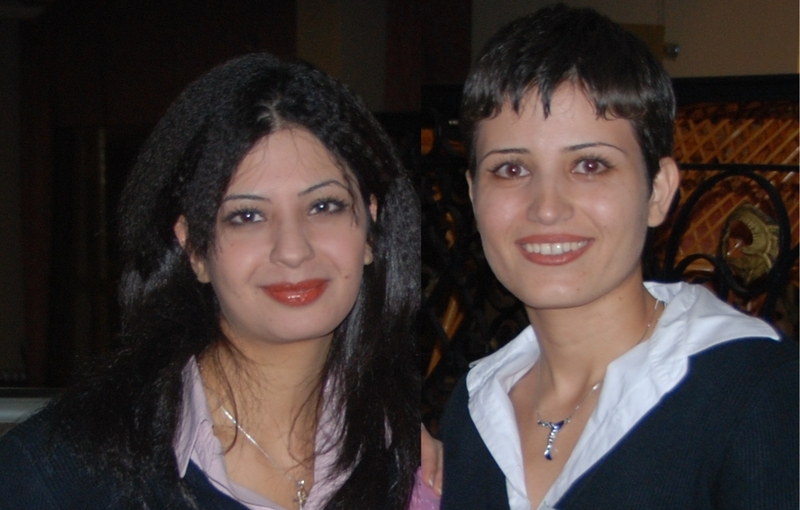 Maryam Rostampour and Marzieh Amirizadeh Esmaeilabad, arrested on March 5, 2009, face charges of propagation of the Christian faith and apostasy in Iran. For seven months these women have been held at Tehran's notorious Evin prison. They have spent time in solitary confinement and are currently held in an overcrowded cell with more than 20 women. If convicted, they could be sentenced to life in prison. In the face of great pressure to recant their faith, both women have declared they will not deny their Christianity. Father, we ask you to give Maryam and Marzieh courage to remain strong in their faith. Show them Your presence in tangible ways. Fill them with an uncommon peace that others might observe and turn to You, the giver of faith and peace. Give fruit to Open Doors advocacy campaign that justice may prevail. on March 5, 2009 in Tehran, Iran. Though initially arrested for acting against state security and taking part in illegal gatherings, it soon became clear their only crime was their Christian faith. When Maryam and Marzieh were pressured to recant their faith and return to Islam, they refused, and therefore remain in prison. Will you speak up for them? These women have undergone intense interrogations, which have reportedly involved sleep deprivation and other psychological pressure. They are living in deplorable conditions, sharing a cell with over 20 other women, and both have deteriorating health. Marzieh suffers from spinal pain, an infected tooth and intense headaches and is especially in need of medical attention, which has not been provided. Six months after their initial arrest, Maryam and Marzieh were formally charged with anti-state activities, propagation of the Christian faith, and apostasy. In their trial on October 7th the judge surprisingly acquitted them of anti-state activities, which moves their trial from the revolutionary court to the general court. While this is a positive step forward, they will remain in prison awaiting trial for the other charges. Please send a message to Ambassador Khazaee of the Iranian permanent mission to the UN in New York, asking for the immediate release of Maryam and Marzieh. Thank you for taking action and please pray for these brave women who are courageously standing up for their faith! Two Iranian Christian Women Still Held in Evin Prison Two Iranian women imprisoned in Iran's most brutal prison have been returned to prison for not renouncing their conversion to Christianity. "We love Jesus... we have no regrets... we will not deny our faith." The judge then sent them back to prison for an indeterminate period of time to "think about their decision." "We have already done our thinking," they told him. Maryam Rustampoor, 27, and Marzieh Amirizadeh, 30, were arrested and sent to Evin Prison in Tehran, Iran. The two women did not rob a bank, kill a man or beat up someone. Their crime? Loving Jesus. And it is for this reason alone they are still imprisoned. In August during a court hearing, the two were questioned repeatedly about their faith. They were told to return to Islam. "We love Jesus," was their reply. Prosecutors asked the women, who had already spent five months in prison, if they regretted being Christians. "We have no regrets," they said. "We will not deny our faith." The judge sent them back to Evin Prison - notorious for its brutality - to "think about" their decision. Maryam and Marzieh are among dozens of Iranian Christians arrested, detained or interrogated in Iran in recent months. The harassment is the radical Islamic government's response to an Iranian revival that has thousands of Iranians coming to Christ each month. The Voice of the Martyrs helps the Iranian church in many ways, including supporting gospel television broadcasts transmitted into Iran and printing Christian literature for distribution inside the country. This month we invite you to make a special contribution in support of our work with Iranian believers. In addition, VOM just released Restricted Nations: Iran, a new book about Christ followers in Iran. This book can help you understand the history of the church in Iran and offer an effective way to pray for our persecuted brothers and sisters living there today. » PLEASE CLICK HERE for more information and to make your contribution or to purchase the book. In the uncertain climate surrounding the recent presidential elections in Iran, Christians are being viewed as dangerous to the regime. Since the beginning of August, dozens of Christians have been detained and at least 8 still remain imprisoned. "It seems that the Iranian government views Christians and other religious minorities as endangering the regime," said a spokesman for the Netherlands-based Open Doors, a Christian advocacy group, about the reported arrests of 32 Christians in the village of Amameh and the northern town of Rasht. "A group of 24 Christians, all of them ex-Muslims, gathered for Bible study. They were taken to their own homes and police confiscated their passports, other documents, money, compact disks, books, computers and mobile phones," Open Doors added. At least seven Christians of this group, identified as Shahnam Behjatollah and six others known only by their first names Shaheen, Maryam, Mobinaa, Mehdi, Ashraf and Nariman, remain detained. Open Doors spokesman Jan Vermeer linked the arrests to reported "divisions within the regime," following the recent disputed presidential election. "Previously people heard only one opinion in the [state-run] media, now there are discussions at the highest levels. It seems that President Mahmoud Ahmadinejad and his supporters do everything to keep their power over the country." In its efforts, the government has cracked down on any group viewed as being in opposition to it. Christians and other religious groups are viewed as "a risk" to the future of the regime. Open Doors said it has launched a letter campaign for Christians in Iran. Maryam and Marzieh are doing well despite being imprisoned for four months. The Voice of the Martyrs contacts report they remain courageous and trusting in God. In June when a judge told them he would make sure they were both executed as "apostates", they responded with courage, telling the judge to "expedite his sentence." Following the recent political turmoil in Iran, 600 women have joined Maryam and Marzieh in Evin prison. We encourage you to continue praying and writing to Maryam and Marzieh to make sure they are not forgotten. They have been strengthened by the prayers and help of believers like you. Write to the government requesting they be released. As protests of Iran's presidential election results went into their sixth day today, Christians in the nation remained hopeful that the election would bring greater freedom. "[Christians are] watching what's going on and certainly they're hoping for freedom," said David Yeghnazar, U.S. director of Elam Ministries, which trains Iranian Christians to evangelize and disciple their nation. Yeghnazar said Christians affiliated with his organization are praying for the political situation, neither endorsing candidates nor encouraging members to participate in protests. But Open Doors, a California-based ministry that advocates for the persecuted church, said many Iranian Christians, who spoke on condition of anonymity, don't accept the election results that declared incumbent President Mahmud Ahmadinejad the runaway winner of the June 12 election. Some younger Christians even took to the streets this week, joining hundreds of thousands in supporting opposition leader Mir Hossein Mousavi, who has accused Ahmadinejad's government of fraud and called for new elections to be held. "In the big cities young believers are involved in the street protests also and people from smaller villages have joined them," said Saeed (not his real name), noting that he did not know of any Christians who voted for Ahmadinejad, though some church leaders and middle-aged Christians chose not to vote at all. "Young Christians have put very open reactions on Facebook and via other ways on the Internet." Although neither candidate is perceived as a friend of the church, Christians in Iran say Mousavi may be more moderate in his approach to religious minorities. Goudarz (not his real name) told Open Doors he voted for Mousavi "because he is more open-minded and [democratic] than Ahmadinejad." "Now we hope and pray that the situation will change soon or that we can have new elections," he said. "When the government orders new elections indeed, it will be the very first national victory in 30 years of dictatorship. The next government then owes to the people to give more freedom." Observers said the massive protests, which openly defied orders from Iran's supreme leader, Ayatollah Ali Khamenei, recalled the unrest of the 1979 Islamic Revolution. "The predominately young demonstrators [call] Ahmadinejad a dictator and yell chants like Ma dolate zoor nemikhaim' meaning We don't want a government of force,'" Iranian Christian Daryush (not his real name) told Open Doors. "They also yell at the security forces and call them traitors and vote-stealers. A friend said that within the security forces are pro-Mousavi followers,' saying, Beechareh shodim!' or, We are without hope.'" Daryush said friends told him young men and women were being beaten, and that they heard screaming and gunfire near the university in the early-morning hours. On Monday, militia who support Ahmadinejad's regime shot and killed seven demonstrators, the Associated Press reported. Observers said the recent election simply brought to light a long-held dissatisfaction with Iran's cleric-led government, which some say has for years trampled on the will of the people. Yeghnazar said that disillusionment has helped fuel church growth. He estimates that at least 1 million Iranians have to come Christ in recent years and that there are at least 100,000 Muslim-background believers in the country. "People are looking for freedom-really, the freedom to be able to function as Christians," Yeghnazar said of the Iranian church. He said believers feel that they are constantly being watched. Their phones are tapped, evangelism is forbidden, and printing Bibles and other Christian materials is illegal. "If you go against that you can pay a heavy price," Yeghnazar said. "There have been leaders who have been killed. ... It's the pressure of daily knowing at any time you can be arrested purely because you're a Christian and thrown in prison." He said more than 50 Christians were arrested in 2008, and on March 5, two young women were arrested and jailed because of their Christian faith. "The indications are that the church would face less pressure under Mousavi than Ahmadinejad," Yeghnazar said. "Ahmadinejad's policies would be more severe on the church." Nasser became a Christian eight years ago, after hearing the gospel from a customer at his small shop. He embraced the hope of new life in Christ. But because conversion to Christianity earns the death penalty in Iran, his home country, Nasser and his family were forced to flee. Though he and his family immigrated to Turkey, Nasser suffered a brutal attack at work and they had to move on. The family was again uprooted. Although desiring to return to Iran, the current situation and religious persecution in the country has prevented them. As they journey on without a home or safe destination, Nasser and Leila entrust themselves and their children to God's protection and continue to pray for those who remain in Turkey and Iran. Lord, help those who are currently suffering for their faith in Iran and across the Middle East. Give them wisdom as they decide whether to flee their homes, especially for believers in Iran. Heal those who have been injured. Protect those fighting for freedom. Strengthen those standing up for Christ. Give them courage and hope in You! The current political situation in Iran is incredibly hostile towards any form of intellectual or religious freedom. Dissenting voices over the recent elections in Tehran have gained international attention. The "government of force" has attempted to silence the protests, even resorting to violence. Please pray for this dire situation and for Christians caught in the middle of the unrest. For believers in Iran, like Nasser, life is one of ongoing persecution. Middle East - Two Christian women held in Tehran prison for over a month without representation. Therefore...we boast about your perseverance and faith in all the persecutions and trials you are enduring." In an effort to prevent Muslims converting to Christianity, Christians may not meet with Muslims to share their faith. Churches are closely monitored and there are sometimes spies planted so that activities are reported to authorities. Muslims wanting to read the Bible, and those who would supply them, are in danger and must be more discrete. Islamic clerics sometimes incite hatred toward Christians, and interrogations, arrests and torture of independent and evangelical Christians and MMBs occur more commonly now. A year-and-a-half ago, as a result of informers, an Assemblies of God Church in Tehran was forbidden to continue holding Sunday school. Islamic clerics now examine what is taught to the children. Father, we know You see the plight of your people in Iran. Grant courage, wisdom and safety to Christians and to those who are seeking Your truth. Cause Your work to go forward in power and authority. We pray especially that You would provide for the children in the church to be raised up to know and love You. And during this weeks election, we pray that freedom from tyranny may be established in this nation. On March 5, Marzieh Amirizadeh Esmaeilabad and Maryam Rustampoor were arrested by Iranian security forces and labeled "anti-government activists," according to Farsi Christian News Network (FCNN). Thirty year-old Marzieh and 27-year-old Maryam are being held at Evin Prison, which is notorious for treating women badly. "Both women are allowed just a one-minute telephone call everyday to their immediate families. Both are unwell and in need of urgent medical attention," FCNN reported. During their last call on March 28, Marzieh said that she was suffering from an infection and high fever. As I came closer I could see dark shadows around her eyes and I realized even before she spoke that she had encountered a lot of pain. - Iranian discipleship trainer. Nadereh was a radical Muslim. In her community she was renowned as the most devoted religious female. She instructed the children in Islamic studies and many people came to her for help, for prayer and for instruction. then the dreams started. One night she saw Jesus on a mountain saying to her, If you are hungry, come to me and I will give you food. Another night she saw Jesus in bright shining clothes, so bright she could not look at Him. Then on the final night she saw Jesus walking on the water, holding out His hand for her. Nadereh told her friend about these dreams. She showed Nadereh where each of these events had occurred in the New Testament. Nadereh was completely shocked; she had never seen a New Testament. Heavenly Father we ask that You make your presence known to those who are living in darkness, that their hearts and minds will become softened, and that they too can receive the gift eternal life. May my cry come before you, O Lord; give me understanding according to your word (Psalm 119:169). When Nadereh came to faith her family reacted very badly by beating and torturing her for many weeks. Nadereh continued to read the New Testament at night under her blanket using a small light. One of her sisters crept into her bed and she shared the gospel with her. Taking great risks, one by one she shared with three of her other sisters, leading each one to Jesus. The situation for Nadereh was even worse at her job. She had a good position but when it became known that she was a Christian, she was demoted and placed in the lowest paying job. An official letter was issued to all staff stating that she was unclean, that no one was allowed to talk to her, touch her, eat with her or have any connection with her at any time. Despite what her employers had done, the situation created new opportunities. Naderehs fellow employees began visiting her in private asking about Christianity. Praise God! >Helping young converts in Iran stand strong. Shunned by Family and Friends, New Converts Find Strength in Christ. On March 5, Marzieh Esmaeilabad and Maryam Rustampoor were arrested by Iranian security forces and labeled "anti-government activists," according to Farsi Christian News Network (FCNN). Marzieh and Maryam are being held at Evin Prison, which is notorious for treating women badly. "Both women are allowed just a one minute telephone call everyday to their immediate families. Both are unwell and in need of urgent medical attention," FCNN reported. During their last call on March 28, Mazieh said that she was suffering from an infection and high fever. She said, "I am dying." Converts from Islam Jamal Galishorani and his wife Nadereh Jamali were arrested in Tehran last week and later released on bail. Iranian Christians and human rights agencies fear possible charges of apostasy, which sometimes entails a death sentence, Compass reports. Jamal Ghalishorani, his wife Nadereh Jamali, and Hamik Khachikian were arrested on January 21st and are being held without charges by Iranian authorities. These Christians were taken from their homes in the early morning. Their families have not been notified as to where they have been taken or how they will be charged, according to a Compass Direct News report. The arrests are particularly disturbing in light of the Iranian parliaments approval last September of a new penal code calling for a mandatory death sentence for apostates, or anyone who leaves Islam for another faith (i.e. followers of Jesus Christ). Under the new penal code, male apostates would be executed, while females would receive life sentences. Read the full story>>. IRAN - Without international pressure, there is little to stop the Iranian government from ratifying a bill that will make apostasy (leaving Islam) a capital crime, warns human rights groups and experts. On Sept. 9, the Iranian parliament approved a new penal code by a vote of 196-7 calling for a mandatory death sentence for apostates, or those who leave Islam. The Christian and Bahai communities of Iran are most likely to be affected by this decision. Unless there is a coordinated and very strong effort from the international community to place pressure on Iran for this, I dont think there will be anything stopping the Iranian government from passing this legislation, Joseph Grieboski, founder of the Institute on Religion and Public Policy, told Compass Direct News. Read more about the apostasy bill and its effects in Iran. IRAN - Days after his release from a month of interrogations and imprisonment, Iranian Christian Mohsen Namvar has fled across the border into Turkey with his wife and son. Namvar, 44, had been held incommunicado by a branch of Sepah (the Iranian Revolutionary Guards) from May 31 until June 26. At the time of his release, Namvar was extremely ill. I have no doubt they wanted to kill me, Namvar told Compass Direct News. Call upon the Lord to bring about fruit from Mohsens years of sharing his faith within Iran. For more information on Christians who are persecuted worldwide, download the latest version of the Persecution Update. It was 4 p.m. on March 17, 1988 when Iraqi planes dropped eight mustard gas bombs over the wood-beamed stone houses of Nowdesheh, nestled in a green horseshoe valley near the border. "I saw the gas and smelled peaches," said Dara Meshkati, who was 10 years old at the time. "Then my eyes closed and I couldn't see anything. I was blind for two months." U.N. investigators said 13 people were killed and over 100 injured in the attack -- an event eclipsed by Iraq's chemical assault the day before that killed about 5,000 Iraqi Kurds in Halabja, 25 km (15 miles) across the frontier to the west. At that time, no asphalt road linked Nowdesheh with the nearest small town of Paveh, so the victims faced a jolting five-hour evacuation over a dirt track through the mountains. Meshkati, a pale-faced man with listless eyes, recovered his eyesight and is well enough to work in an accountant's office, but still suffers from asthma -- and psychological scars. "Nobody drinks water from my glasses. People here think I have a problem," he complained. He is just one of scores of survivors in Nowdesheh, which suffered three gas attacks in the same month of 1988, the final year of Iran's ruinous eight-year war with Saddam's Iraq. "We went to help the wounded," recalled Rahim Maghrouzi, 52, a surgical mask over his mouth. "We didn't realize it was chemical weapons. My skin turned red. We tried to wash our eyes with water. I still can't breathe properly and I can't work." In 1994, Haik Hovsepian, the leader of the Protestant churches in Iran, rose to the defense of a man sentenced to die for converting from Islam to Christianity. Leading an international protest, Hovsepian campaigned successfully for the condemned Christians release. But three days later, Hovsepian himself disappeared. His body was soon found riddled with knife wounds. Two other prominent Iranian Christians were martyred six months later, leaving the church stunned and grieving. Hovsepian left behind a wife and four children. Today, half a world away in Burbank, California, two of Hovsepians sons, now professional television producers, have created a gripping documentary about their fathers life and death. Using real footage from inside Iran, the documentary depicts life under one of the worlds most Christ-hostile regimes and issues a call to action to the American church for support and prayer. We thought this would be a very powerful story, says Joseph Hovsepian, 34, Haiks eldest son and producer and director of A Cry From Iran. At the time, my view was very personal. I saw it as something that would please our family and families of martyrs and the Iranian church. At the Hovsepian home, photos of Haiks smiling face are placed throughout the house, including above the video-editing suite where Joseph and brother Andre, 24, make a living. It was Haik who had encouraged Joseph to develop his talent for video production back in Iran. Haik probably didnt realize that the footage his teenage son was taking of underground church services, conferences, even funerals for martyred believers would one day be used to tell his own story and the story of other Christians killed during the wave of persecution in the mid-1990s. I believe it was the work of the Holy Spirit preparing us for such a day to tell such a story, Joseph says. IN IRAN - They only encourage the Muslim religion, and so they control their citizins through various means, such as collecting information on their citizens. Iranian citizens must have govenment issued cards in order to buy food, go to school, or find employment. Since Christianity is discouraged quite adamently; those who openly practise Christianity are denied these basis rights. Of course Iran also does police raids on Christian premises, and they imprison, beat, torture and brutalize practising Christians. This is the government doing this. Christians make up less than one-half of one percent of the population. Open witness to Muslims is banned and government spies monitor Christian groups. One such group was arrested In September 2004. A group of Assemblies of God believers had gathered for their conference when police arrived, blindfolding every person in attendance and leading them away for questioning. Ten pastors were detained, but a few days later, only Hamid Pourmand remained in prison. During his incarceration, he had minimal contact with his family, and faced continual pressure to convert to Islam. His wife and sons were dependent on the generosity of fellow believers, having been stripped of Pastor Pourmand�s salary. Thankfully, due to international pressure, he was acquitted of blasphemy charges in conjunction with his conversion to Christianity twenty-five years earlier. A conviction of blasphemy could very well have resulted in the death penalty under Shariah law. Pastor Pourmand was released early on July 20, 2006, but was warned that attending church services could revoke his release orders and force him to serve the remaining fourteen months of his sentence. Believers are also discriminated against in education, employment, and property ownership and several pastors have been murdered. Although missions are not allowed to enter Iran, a growing number of Muslims have converted to Christianity. Those who do convert, however, often face serious danger to themselves and their families and may seek refugee status abroad; something that foreign governments are not always willing to grant, as shown in two cases involving Canada in 2002 and 2003. There are also possibilities of evangelizing the millions of Iranians who live abroad, including more than two million in the United States. Pray that the government will be open to change and allow full rights and protection for non-Muslims. Pray for strength for those who come to Christ, despite the threats and dangers. Pray for those who are forced to flee their country, that they may find refuge and help. FROM THE VOICE OF THE MARTYRS. 1.) Persecution.org international Christian Concern. 3.) Quote from Voices of the Martyrs! 1 In Iran the laws are restricted towards any religion other than Islam. To convert from the Muslim religion to Christianity is considered Apostasy and punishment is most generally the death penalty. 1.) The printing of Christian literature, including church bulletins and church newsletters. 2.) Non Muslims from proselytizing. 3.) Government workers from practising any religion other than Islam. TEHRAN, IRAN (ANS) -- Iranian police invaded the annual conference of Iran�s Assemblies of God and arrested at least 80 church leaders at the church�s denominational center near Tehran as part of the worst crack down on evangelical believers in a decade, a Christian news agency reported Friday, September 10. British military service members recently released after they were kidnapped by Iran and held hostage for nearly two weeks are revealing stories of threats and terror they suffered during their captivity. Now the Christian ministry Voice of the Martyrs is confirming Iran treats its own citizens the same way � if they are Christian. One of the British service members, Faye Turney, reported after being returned to Great Britain that one of her captors rubbed her head and said, "Just you now," when she asked about her colleagues. Another time, a jailor came in to measure her from head to foot, while she was listening to sawing and hammering going on nearby. She said she thought her coffin was being prepared. Iran's pressure on the service members, and their manipulation for Iranian interests, continued when President Mahmoud Ahmadinejad announced plans to release them, as a "gift" to Britain. Turney later told reporters she "felt like a traitor" when she complied with demands to write letters of confession that were used as propaganda on Iranian television. The service members reported they were constantly subjected to psychological pressure for the two-week period. Voice of the Martyrs, however, said this is a regular routine for Iranians who refuse government demands to renounce Christianity. Sources for the Christian organization say threats, interrogations, beatings and even malicious attacks are routine parts of attempts by the Iranian government to silence Christians who continue to spread the gospel of Jesus. "Reportedly, Iranian officials treated British sailors � very well," the group said. The prisoners were filmed eating, watching television and laughing and joking, although the service members later explained that was staged for international publicity. "Government officials have not been nearly as cordial to their own citizens who follow Jesus Christ," VOM said. An Iranian source recently reported to VOM that a woman named "Azedeh" was abducted by government officials while she was returning from visiting a family new in Christianity. "Azedeh was threatened, interrogated and forced to deny Christ. She refused and was eventually released," the source told VOM. "As Azedeh and her sister continued evangelizing, the government randomly summoned them once or twice a month for interrogations and threats. "Many times the government demanded the sisters deny Christ, or turn in other Christians, but the sisters refused," the source reported. And when the sisters were not being watched by government agents, "their neighbors reported their activities to police. They were beaten many times, even attacked with a knife," VOM's source said. Eventually, their landlord evicted them, the report said, so VOM helped them relocate to a different, hopefully safer, region in the nation. "Their lives have changed. They are now able to continue their ministry and are doing more evangelism," the source reported. "They thank their brothers and sisters in the United States who are praying for them and thinking of them. Knowing there are people around the world praying and encouraging them warms their hearts." This Is A Posting Site, Where You Can Post News, Information, and Other Items For The Christians In Iran Who Persecuted!